By experimental computation we mean the idea of computing a function by experimenting with some physical equipment. 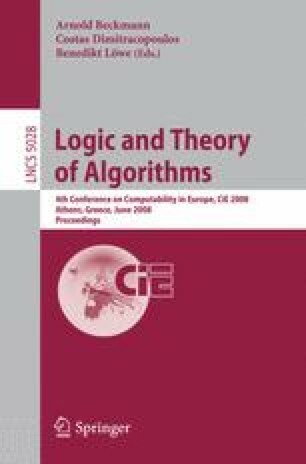 To analyse the functions computable by experiment, we are developing a methodology that chooses a precise specification of a physical theory T and derives precise descriptions of the procedures and equipment the theory allows. As a case study, we choose a fragment T of Newtonian kinematics and describe a language EP(T), and some of its extensions, for expressing experimental procedures allowed by T. The languages for experimental procedures are similar to imperative programming languages that express algorithmic procedures. We show that EP(T) can define all functions on the rational numbers that are definable by algorithms.